This discussion will explore how artists are using techniques originally developed for quantitative analysis to research and evoke more slippery, sensorial, affective and/or politically effective qualities. This event is part of a series of programs associated with Nonstop Metropolis, a publication edited by Rebecca Solnit and Joshua Jelly-Schapiro launching at the Queens Museum in November 2016, and a mural commission by artist Mariam Ghani, The Garden of Forked Tongues, currently on display at the Queens Museum through July 2016. 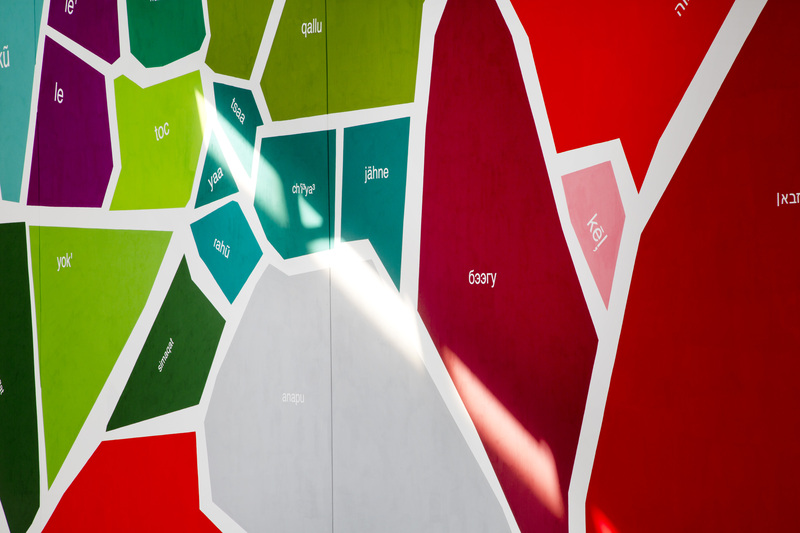 Mariam Ghani’s commission for the Large Wall Series, The Garden of Forked Tongues, is inspired by Suketu Mehta’s Tower of Scrabble, one of the 26 essays in the publication, and the accompanying map of linguistic diversity in Queens to which Daniel Kaufman contributed.